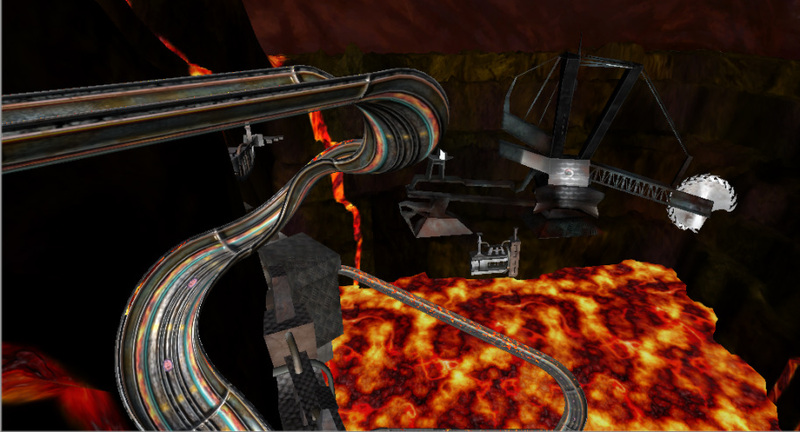 "Max Impulse" is a high octane zero gravity racing game created by a small team of students. I joined the team after they had already been in development for three months as the level designer for our second level, entitled "Devil's Tongue." 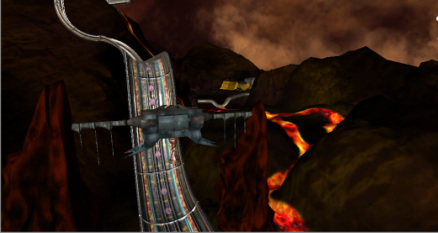 The main focus that the team lead wanted for this level was that it was supposed to be entirely different from our first level "Heaven's Gauntlet" and that it would be much easier to play. This video represents a version of our first level "Heaven's Gauntlet" from around the time that I began working on "Devil's Tongue." It is a difficult track that new players had a hard time with, so I set out to make "Devil's Tongue" as accessible to new players as possible while still offering excitement for player's that are more familiar with Max Impulse. I began designing Devil's Tongue by spending a few minutes to create a quick and dirty drawing of a possible layout for the level (seen here at the right.) This drawing allowed me to communicate my basic idea for the level without having to spend a lot of time creating a more advanced prototype. 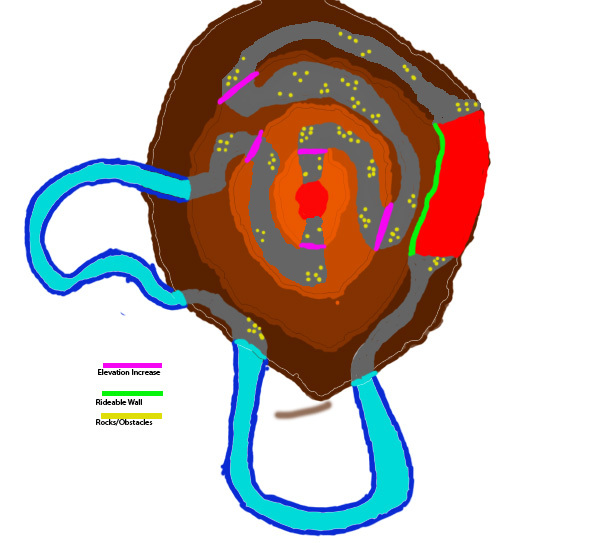 The lead on this project told me that he wanted a level that took place on a volcano, so I decided that I would create a level where the player would race along flat areas of the volcano until they came to a turn where they would ascend the side of the volcano to get to the next flat area of terrain. Once I had an idea of the level that I wanted to create, I began by developing a prototype level by using Autodesk's Maya 3D software. 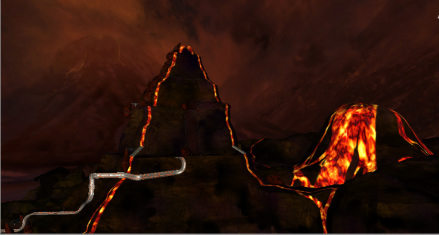 I started by modeling the track out in a similar shape to what I had designed, but without the volcano underneath it. 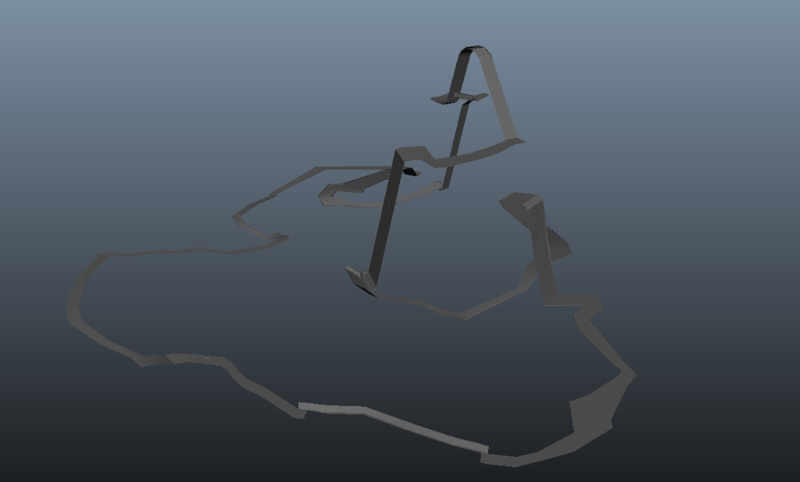 The reason I did this was because I wanted to get a sense for the scale of the level (as well as the lap time) when brought into the Unity engine without spending the time to model the more detailed aspects of the level. 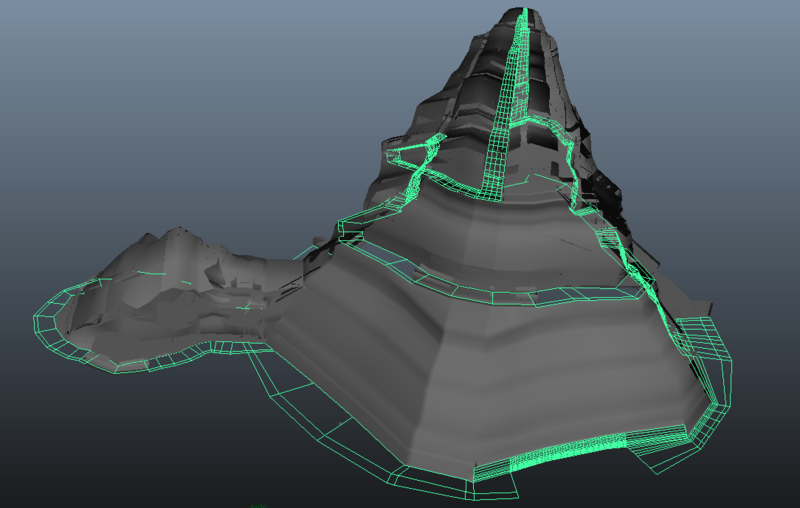 When I went to model the real volcano, I decided that I would not create the track as a separate model but that I instead would separate the polygons that would become the track from the main mesh (seen here.) 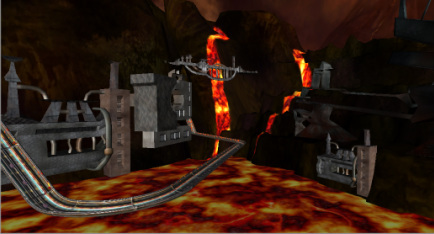 This allowed me to ensure that the edges of the track would match up with the edges of the volcano so the player would not even be able to tell that they are separate models. 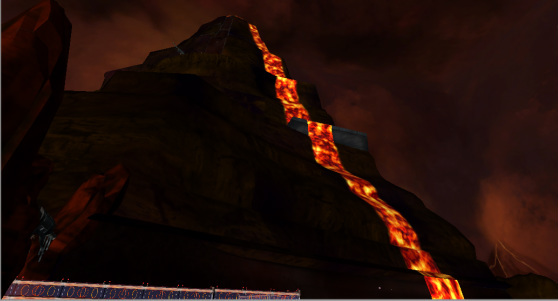 Even though the volcano is rather large when viewed in-game, I focused on making it as low-poly as possible so the game would be able to render at a higher framerate on a wide variety of Macintosh and Windows machines. 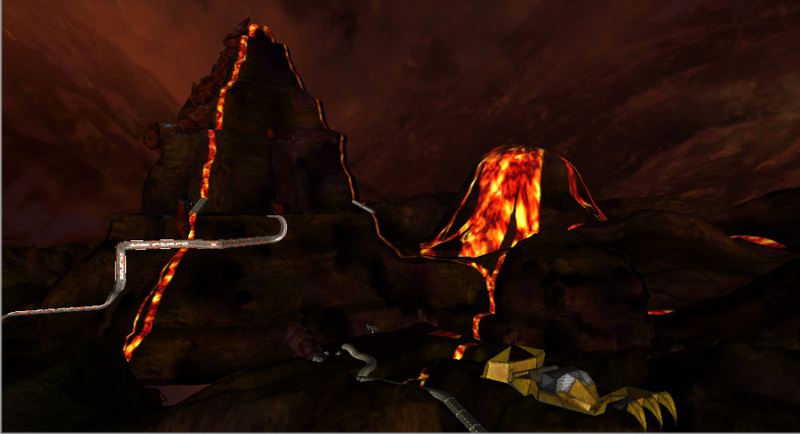 Once the main volcano was completed and the track was separated from the mesh, I divided the volcano into a total of five separate meshes. 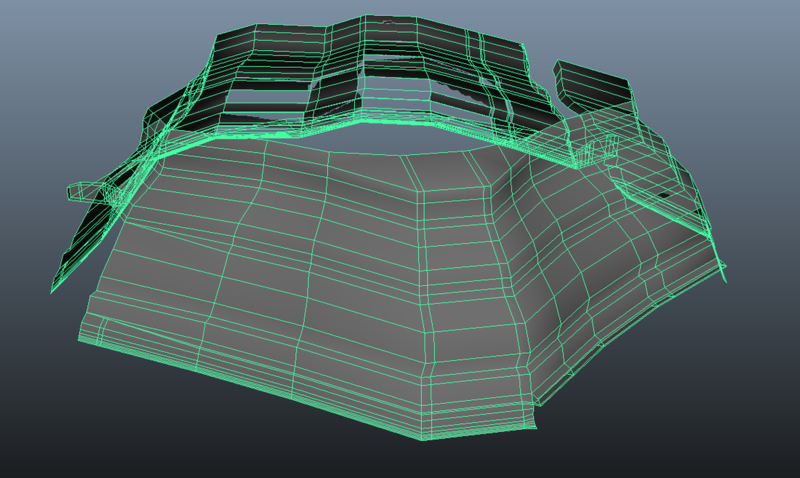 The main reason I did this was to clean up the geometry, which had become terribly unclean during the modeling process. Separating the mesh into pieces made the clean-up process very easy because I did not have to worry about the volcano as a whole while doing it. 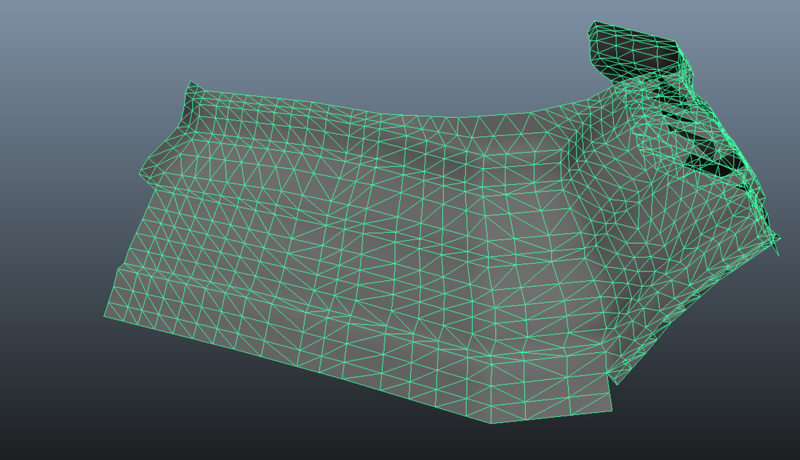 After cleaning up each piece, they came out with much cleaner polygons that would easily divide into triangles when placed in the Unity engine. 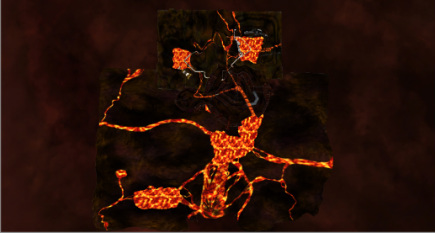 Dividing the volcano into separate pieces also made Occlusion Culling a possibility, which was just one more aspect of the volcano the help the level run smoother and render faster when placed into Unity. Once I finished cleaning up all of the models, I handed them off to the team's texture artist and then I started placing all of the assets that I had created into the Unity engine.